Can i create bones from different topology mesh sequence? If you have questions, feel free to send me a DM. This tool looks great. 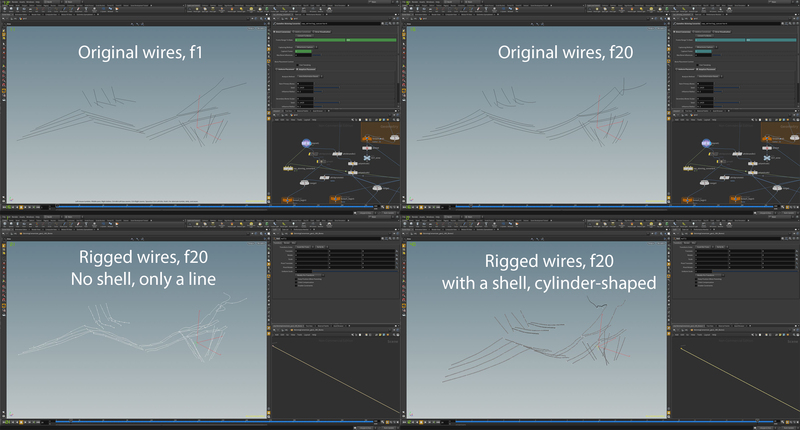 We have an in-house Maya tool that does this, but it seemed like something that Houdini would naturally be better at. Hello! Is there some way to change the size of the visualization spheres? I have some really dense geometry and I have areas that are being covered up entirely by the spheres. Thank you! If you want to quickly make the edit yourself, simply dive into the tool, and just above the "Copy to Points" marked in orange, put an attribute wrangle (set to run over points).. In that wrangle, simply write "@pscale = 0.1;" 0.1 meaning 10% of current size, so change it to whatever you need. How do i export it for a game engine once i am done with the process of converting? You can use the Filmbox ROP to export an FBX file containing all the data you need. Hey Paul, awesome tool ! Very usefull and easy to use, thanks a lot ! The tool works less successfully on surfaces that have a lot of small motion on them. Actually, this is exactly what I did ! Sadly, weird results occured, see https://image.ibb.co/e4zqWc/wire_rigging.jpg. Or use the VAT tool. Indeed, can't have too much bones. Thanks, will look into it ! Awesome tool nonetheless, still a life-saver ! Is this compatible with Apprentice, or is it only Indie and above? I've tried updating the GameDevelopmentToolset to the latest that shows up in dev (currently 1.15) and it doesn't appear in the shelf or the node list even after several attempts / reloads. When using a vertex cache imported, there is nothing in the result geometry. I tried to export it using Filmbox ROP. How to make a vertex cache had a problem. Paul, awesome tool. Thanks a lot. I was actually wondering what tool you were mentioning in the beginning of the video that places a bone per each point? Trying to do a tentacle animation and it would be extremely useful to have each joint in my polyline be represented by joint in the bone animation. Sorry for the slow reply. I was attending GDC all last week. That tool is no longer part of the toolset, since it has been replaced with the GameDev SkinningConverter.